Madison is delighted to announce a partnership with Allsport Dynamics to distribute their products in the UK, Ireland and the EU. Founded by Jeff Brewer, Allsport Dynamics make probably the best wrist braces in the world, favoured by a whole host of current MX riders like Joey Savatgy, Adam Cianciarulo, Weston Pieck, Justin Bogle and more. It’s not just MX though, Allsport braces have been used by everyone from NFL teams, NHL teams, Major League Baseball teams and even the US Navy SEALS. 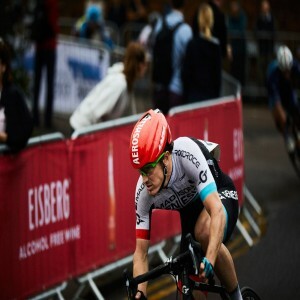 They have top-level experience in cycling too, having worked with two Downhill World Champs in Steve Peat and Danny Hart, as well as 2018 European BMX Champion Kyle Evans. Allsport have a great story that began with a Jeff Brewer and a sprained ankle. Jeff was out of action after a work accident and decided to make himself a brace to help get around rather than accepting a few weeks off his feet. After that, he started to make more braces at home using a decidedly unique method of moulding red hot plastic onto his skin straight out of the oven (there are no health and safety regulations when you’re working in your own kitchen). Between 1985 and 1990, Brewer made hundreds of braces that were used by everyone from friends to college football teams and never charged a dime, but since 1990 he’s been in business and Allsport Dynamics have morphed into a leading power in protection technology.